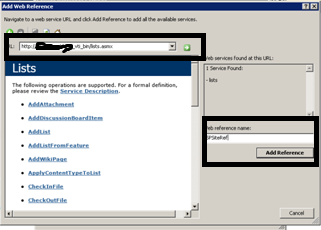 SharePoint List Web service allow developers to access, manipulate List and List items through a service url. 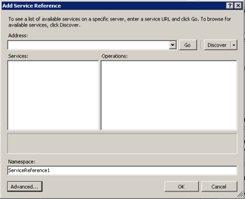 Now lest start consuming this service and manage SharePoint List. 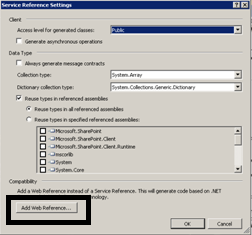 Right click on project and add service reference. 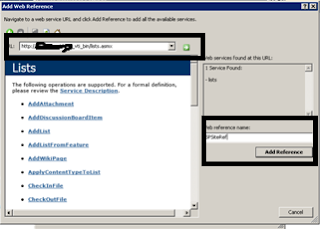 Give a name to the web reference name , click on Add Reference.